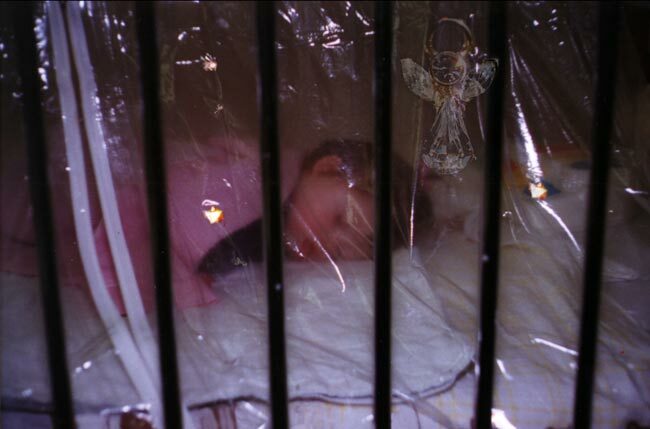 This is an image of Emily in an oxygen tent in the hospital when she had pneumonia. The angel image is a small pin that my mother gave us in the time we knew Emily was going to have Down syndrome, but before she was born. This kind of image is very real for me, but the cliches and misconceptions (to my way of thinking) about what having an angel present make it a challenge to handle well. I hope meeting Emily shows you a new corner in the world that you might not have known otherwise. And this corner is a good one. Still, in my experience, the world is a broken place. That is true for Emily as for the rest of us. She has been in the hospital a couple of times for pneumonia. So has her younger brother, Evan. Seeing my kids sick touches fear that tests my strength as much as anything I know. But, I do believe something better is coming. I read pain in the stories of God's peoples—I believe the hope of a new heaven and a new earth is another part of the same stories.